Wow, what an incredible Tuesday morning! 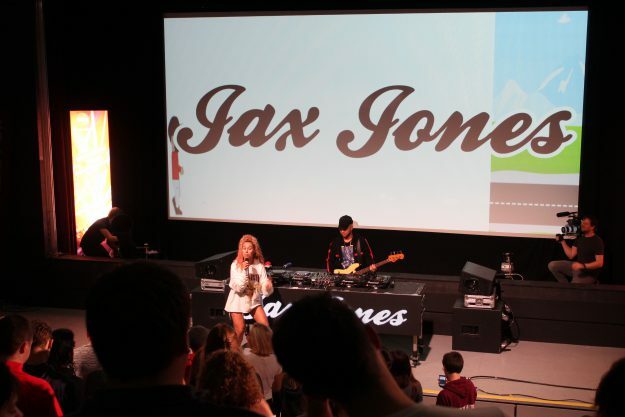 Those of you who set your alarms, got out of bed early and made it on time for our 09:00 guest lecture today were instead surprised with a secret gig from Jax Jones and Raye in The Cube. We advertised this event as ‘The Best Lecture You Ever Heard’, with a lecture from “Professor J. Jones” focusing on “The Early Bird Theory” – the theory that those who get up earlier are rewarded for their efforts. The Cube was transformed into a huge early-morning party with confetti, t-shirt cannons, carnival dancers and fantastic music. Jax and Raye performed their hit collaboration, You Don’t Know Me and Instruction, along with many other crowd-pleasing tunes. Students were encouraged to dance with Jax on stage and party the morning away as a reward for making it to the lecture on time. 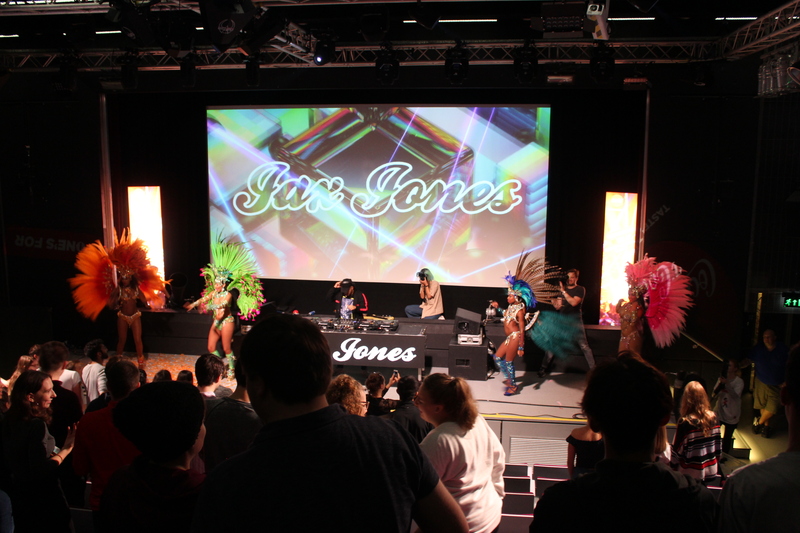 We hosted this event in collaboration with Coca-Cola and Create Productions, with students receiving a free Coke Zero after the event and having the opportunity to enter a competition to see Jax Jones live once more in concert.